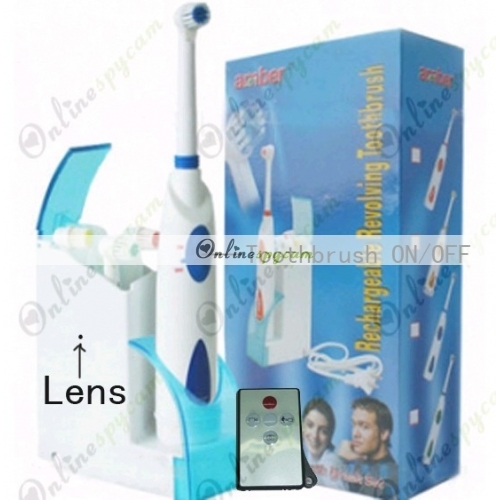 A pinhole camera is set inside the elegent toothbrush. 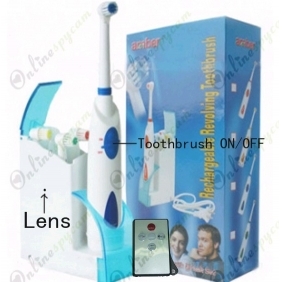 The position of the pinhole camera is so secret that people will consider it is just a common electric toothbrush. When you want to record videos, you just need to operate the remote control unit and the camera will start working as you like. There is no noise when it works, so no one will notice it. This model is quadruple the resolution and twice the frame rate of most mini DVRs on the market. It can record up to 10 hours of full color HD (1280x 720) video at 30fps with audio onto its 16GB of internal flash memory.